All photos by Raphaël Krafft. Read/Hear his accompanying radio report. Click on any thumbnail image to launch slideshow. 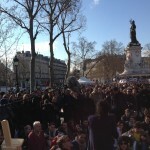 A general assembly meeting in the Place de la Republique. 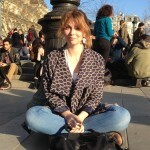 Sara Benoist in the plaza. 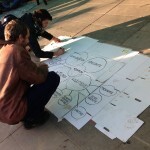 Mapping the organizational structure of the Nuit debout movement. 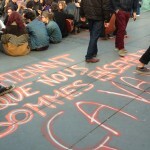 “Now that we are together, we feel better: reads graffiti sprayed in the plaza. 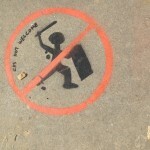 Riot police not welcome states an image stenciled on the plaza pavement. 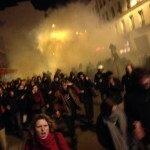 Crowds walk away from clouds of tear gas. 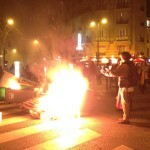 Protestors light garbage cans on fire at an intersection after being tear gassed.